This summer, 18 other girls and I were blessed to have the chance to find out the similarities between a camera and a newborn baby (precious, weighty, delicate, and in need of care), how much cake 19 girls could eat (four slices, all different flavored), and how much we could accomplish together (a lot). 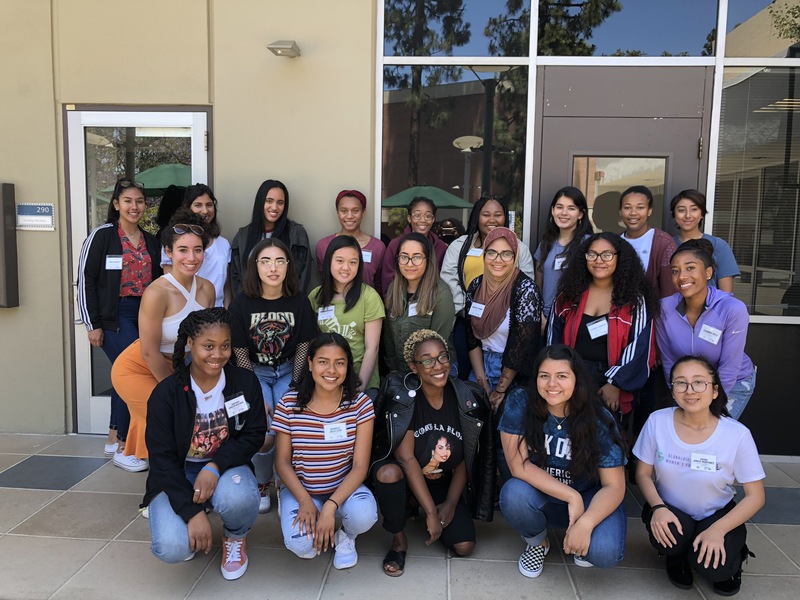 The Global Girl Media + Women’s Voices Now Summer Intensive Media Training Program was a 4-week long training program held at the USC Annenberg School. Over the course of the intensive, a group of 19 young women ages 15-22 had the opportunity to learn from experienced guest speakers, visit the Autry Museum, LA Public Library and Grand Central Park, and create four short documentaries with equipment, supplies and meals made possible by generous sponsors. We were also lucky enough to have the moral support of Golden Globes Ambassador Simone Garcia Johnson. Founded in 2010, Global Girl Media is a program that seeks to develop the voice and media literacy of young women in underrepresented communities. Through the process of teaching young women how to use their voices to tell the stories that matter to them and their communities, Global Girl Media offers a safe space for young women to foster a sense of self confidence where we are given the support we need to take further steps toward our future goals, even beyond the summer program. This summer, the cohort was grouped into four groups, with each group planning, researching, and interviewing subjects, and creating a 5-10 minute documentary about an issue that they felt passionately about. The topics varied, with one group telling a story of immigration from the perspective of one of their peers, another interviewing subjects about mental health, others working to destigmatize periods, and ours focusing on colorism and racism in the underground drag community. “Global Girl Media made me understand the power of my voice. I am more outspoken and take up space unapologetically. I love myself more. Every single day of instruction, our incredible instructor, Leila Jarman, spoke to us and made sure we communicated what was going on in the world and in our minds. She genuinely cared about our feelings and this is why it made our morning discussions powerful and intimate,” said cohort member Ana Antuna. Over the weeks, we bonded through the discussions, the field trips, beating the heat together on our shoot days, filming and getting inspired by our peers and our subjects. We shared personal stories of discrimination based on skin color, ethnicity or beliefs. We listened, shared and created, letting our diverse backgrounds, personalities and stories become the foundation and driving force behind the stories we wanted to tell. And as we learned about various styles of documentaries and created shot lists to set up, shoot and edit our projects, we grew to understand that the gender inequality in the film industry wasn’t a result women lacking capability, but rather women lacking confidence and opportunity. “We had the most extraordinary cohort of young women from South LA to the Inland Empire all coming together with a passion for social justice, journalism and storytelling. It was amazing to see them amplify their voices for issues that matter and watch them learn and retain vital tech skills as they lens a pathway into Los Angeles’ creative field,” Jasmine Jaisinghani of GlobalGirl Media said. For me, the Global Girl Media + Women’s Voices Now Summer Intensive Media Training was a memorable experience not just because we were taught how to create short documentaries, but because of the ways that it showed us of the potential we, as young women, have. Beyond just teaching us multimedia journalism skills, it taught us to think critically and to use our voices for issues that matter to us and our communities. The supportive mentors and inspiring guest speakers motivated us to put ourselves at the center of the story and behind the lens. It showed us of all the possibilities we could still grow into.